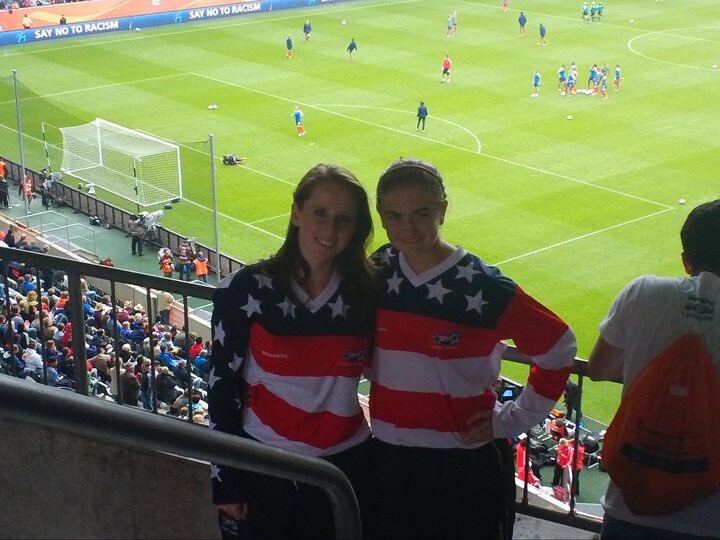 Marissa and Mackensie at the World Cup Semifinal game. Big swims this week with Ron and Harold on M,W,F, and Sun! Two easy runs on T, TH. Sunday Much harder run again with Da Boyz on Sunday after the killer OWS. Saturday TZ and I rode down and around WRL. The big news, however, is that I went in and saw Dr Ron on Wednesday, who confirmed that my SI was out. We agreed it probably dates back to when Rissa took me out in the back yard. Ron worked on my PF and I felt GREAT after that! 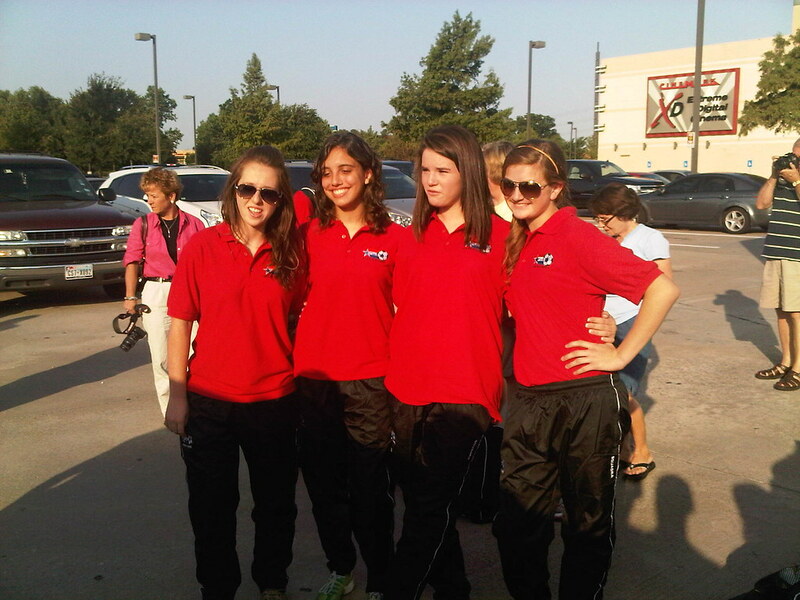 Tuesday July 19: LTF Plano 34 min, (Recovery 45) 4 mile run (163). Sunday July 24: Pier 121 with da boyz 6x500 OWS 3000M Swim; 51 min, (recovery 22, MAXhr 175) 6.2 mile run. Tough month where I was working on my track events while trying to manage an aggravated Achilles and PF. I did well enough on the track, and am looking forward to some rest! 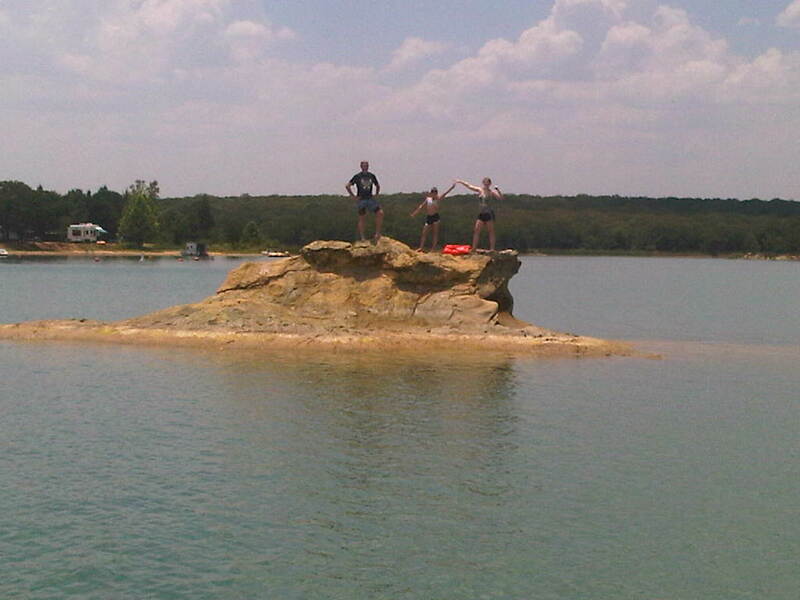 Capture of The Rock at Lake Murray! Terry and I started the week with a big ride down to Terrell and back. This is the proposed alternative route for the STH 100. I liked the ride - rolling hills, wide shoulder. Monday afternoon, we packed up the kids and headed up to Oklahoma for some R&R. I brought the bike with me, as I am trying to rest my legs from track. I got some nice rides in over at Lake Murray on Tuesday, Wednesday and Thursday. We spent the day Tuesday at Turner Falls and Wednesday we rented a boat on Lake Murray. Thursday we checked out the Arbuckle Wilderness and Tucker Tower. 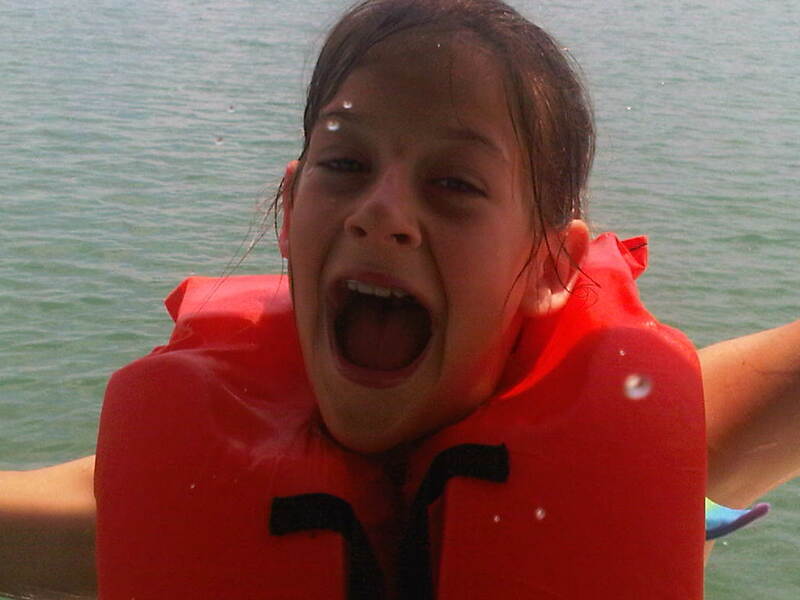 Back from OK on Friday, I went down to the Gym for a nice swim, and then Logan, Reagan and I went to six flags! 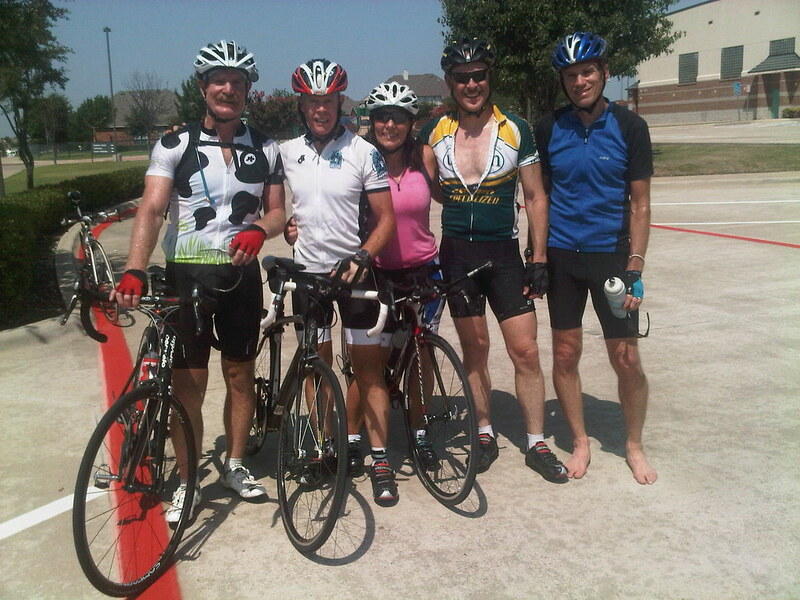 Saturday I did a hammering ride with the Frisco Triathlon Club and then Sunday my first run in 12 days. Sunday afternoon we spent the afternoon at Hawaiian Falls for Logan's signing party. Tuesday July 05: Ardmore OK (Ave 17.5, CAD 75, ride time 1:12, ALT 910, Temp 87) 21.1 miles bike. Wednesday July 06: Ardmore Lake Murray (Ave 18.2, CAD 76, ride time 1:39, ALT 880, Temp 90) 30.9 Miles Bike. Sunday July 10: 30 min Easy Distance (recovery 38) 3.5 Miles Run. After several July 4 rides, this year, we went back to the traditional date for the STH 100 - the weekend before Independence Day. The weather pattern for the last four weeks had been VERY STRONG south winds. As a result I plotted out an Alternative Route down to Kaufman. As fate would have it, the winds calmed down in the days leading up to the ride. So we decided to head north per SOP. We had eight riders this year - and for the most part it was a pretty cohesive group. Right off the bat ChrisP could not find his keys so while he was looking for them, Me, Terry and Victoria did a small loop down to the Dallas county line and by the time we got back the group was ready to go. Right off the bat, Tom was riding slower than the rest of us - which was a bit of a concern. We set a hammering pace up to Van Alstyne, which according to John was an average velocity of more than 19 MPH. After reloading at Van Alstyne, Terry and Tom still had not turned up. The rest of us headed out to Sherman. As I had predicted we found Terry at the Shell Station right where I found him last year. Terry said that Tom was with him through Melissa, but then he was not sure what happened to him. With Terry in tow, we hammered it back to Van Alstyne. Both Victoria and I were overheating by the time that we got back to the Exxon in Van Alstyne! We had dropped Terry again, but I knew we would find him in Anna at the sonic! I felt much better after the second stop; we continued the hard pace, and sure enough when we got to Anna, there was Terry eating his hamburger at the Sonic, something that ChrisP just could not believe! We continued to make great time to McKinney and we all agreed to stop at the QT per STH tradition. Terry caught up with us, made a quick stop and then he and Victoria headed off before the rest of us. Victoria had a plan to pull Terry into the finish and amazingly we caught them right at Renner Road and the seven of us finished together. Tom's car was in the parking lot, which lead to a more concerns about Tom. Later I received and email that he had become lost (I had given him a map...) but was OK. This was clearly the fastest STH yet. And in spite if boiling temps, it was a heck of a good ride!